Join us on Tuesday, July 31st to celebrate the release of R.O. 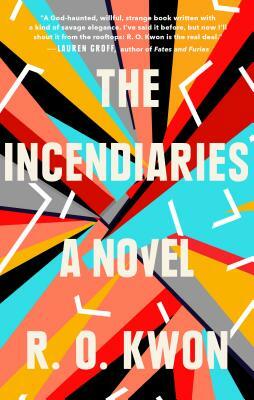 Kwon's debut novel, The Incendiaries. R.O. will be in conversation with Esmé Weijun Wang. Grieving and guilt-ridden, Phoebe is increasingly drawn into a religious group--a secretive extremist cult--founded by a charismatic former student, John Leal. He has an enigmatic past that involves North Korea and Phoebe's Korean American family. Meanwhile, Will struggles to confront the fundamentalism he's tried to escape, and the obsession consuming the one he loves. When the group bombs several buildings in the name of faith, killing five people, Phoebe disappears. Will devotes himself to finding her, tilting into obsession himself, seeking answers to what happened to Phoebe and if she could have been responsible for this violent act. A remarkable multigenerational novel, The Border of Paradise transports readers into the world of an iconoclastic midcentury family.